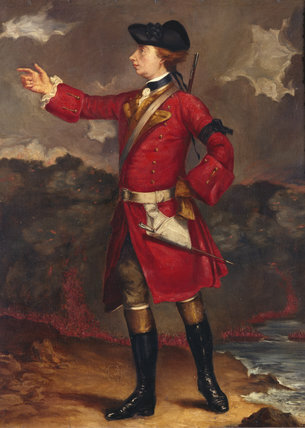 PORTRAIT OF WOLFE AT QUEBEC, a reproduction of one by Shaak. Wolfe stands proud, in profile, holding his right arm up. Wolfe's black arm-band indicates that he was in mourning for his father.